We have significantly enhanced our family practice here at Coast Family Chiropractic with the addition of the revolutionary Insight Subluxation Station. This exciting technology has been used by NASA to evaluate space shuttle astronauts and by athletes from many professional teams, including Superbowl champions, the Indianapolis Colts. It has also been prominently featured on the Discovery Channel, PBS’s American Medical Review, Heartbeat of America hosted by William Shatner, and in dozens of newspaper articles. We now feature this leading-edge technology in our office. There are THREE separate types of nerves in your Nervous System that control different functions in your body. We can now MEASURE these systems! Motor Nerves – Control our muscles and move our bodies. 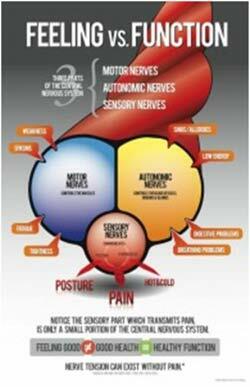 Autonomic Nerves – Control our organs, glands and blood vessels. The Autonomic and Motor nerve systems make up a huge portion of our Nervous System and are a much more reliable guide to the health of your nervous system than your Sensory Nerves (pain). Being able to measure the health of these systems gives us a much more accurate view of your health. 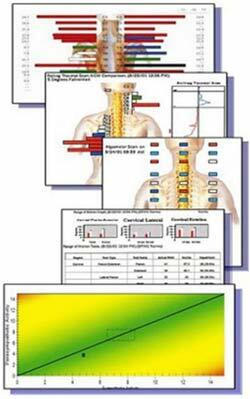 Coast Family Chiropractic’s Insight Subluxation Station combines separate computerized test scores to determine one comprehensive score (CoreScore) that evaluates and is representative of your neurospinal health. This number is more important than your cholesterol number. It’s a “snapshot” of your nervous system that we can use to track your progress over time. Surface EMG- Measures the tension of your muscles! The tests are painless and are complete in about 8 minutes and are usually performed by Dr. Escobedo. The Insight Subluxation Station objectively helps us to detect areas of nerve disturbance, document and monitor your results, and deliver the appropriate care to help get you moving and functioning better. That’s why we use the Space Certified Technology here in our office, it’s going to help ensure you never get one more or one less adjustment than you ever need. We’d love to meet you and answer your questions. Give Coast Family Chiropractic a call today!